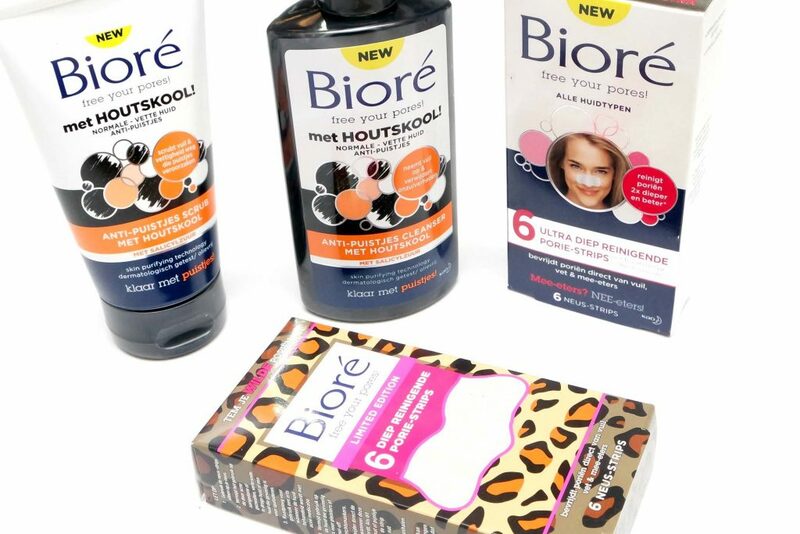 Bioré has launched a few new Acne Clearing Products that have Charcoal as their featured ingredient, combined with Salicylic Acid to deeply cleanse pores and absorb oils to help stop breakouts for clearer skin in just a few days. 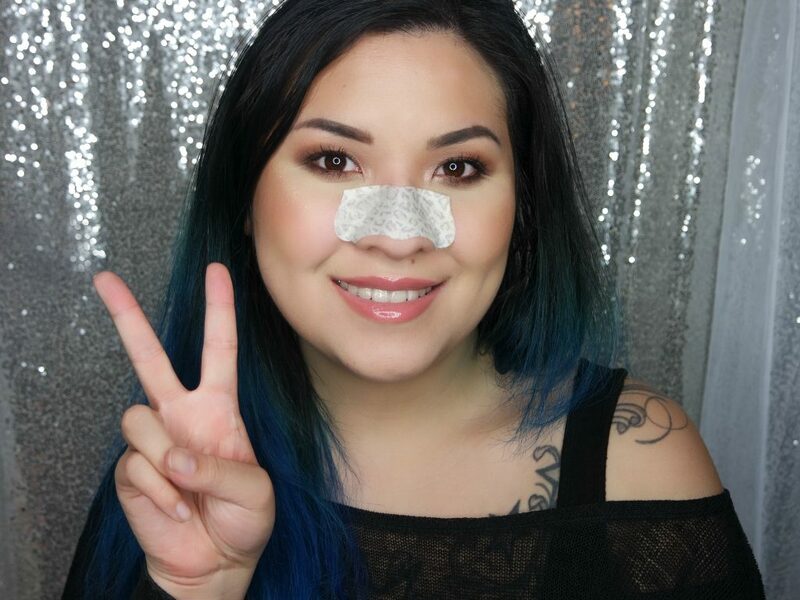 The brand also introduces the Deep Cleansing Pore Strips for removing dirt and blackheads from the nose area, also available in a Limited Edition print. 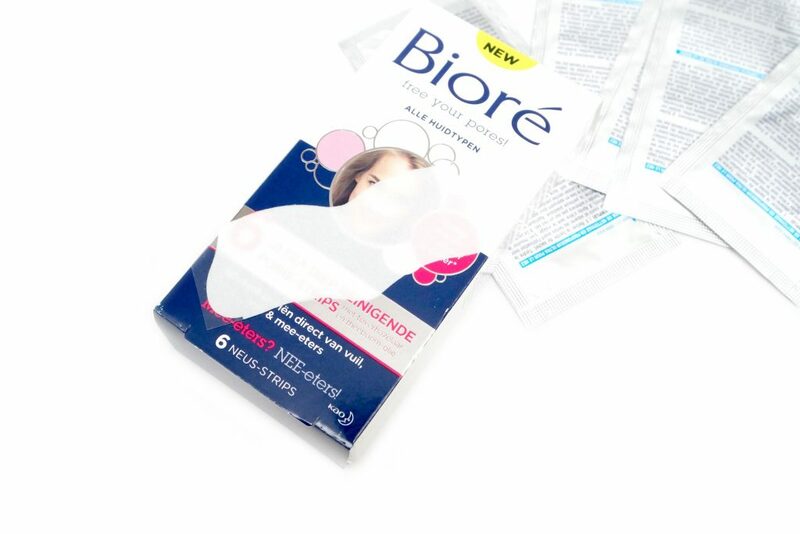 I’m going to review and show you all these Bioré Acne Clearing Products in today’s post. 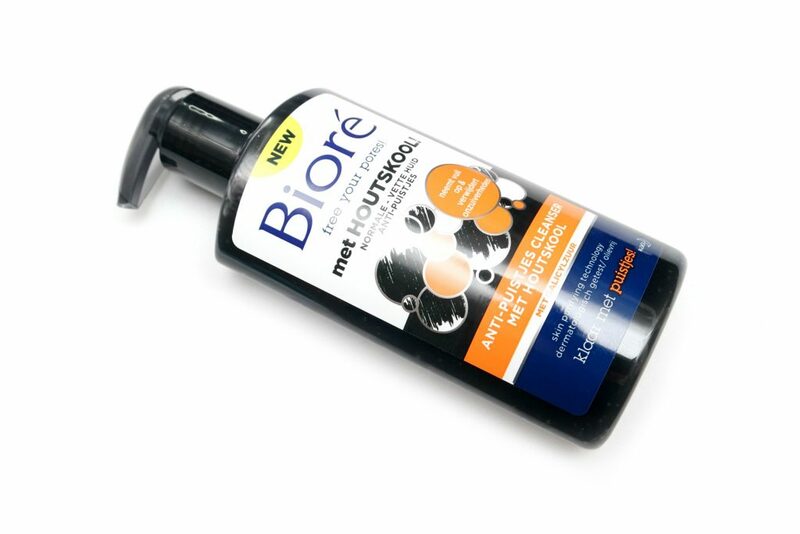 The Bioré Acne Clearing Cleanser (€9,99/200 mL) is a hypo-allergenic cleanser featuring Charcoal and Salicylic Acid, recommended for a normal to oily skin type. 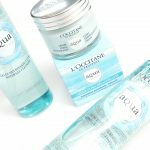 According to the description, this product cleanses deeply and penetrates pores, which is supposed to clear acne in just 2 days and help stop breakouts for a clearer skin. 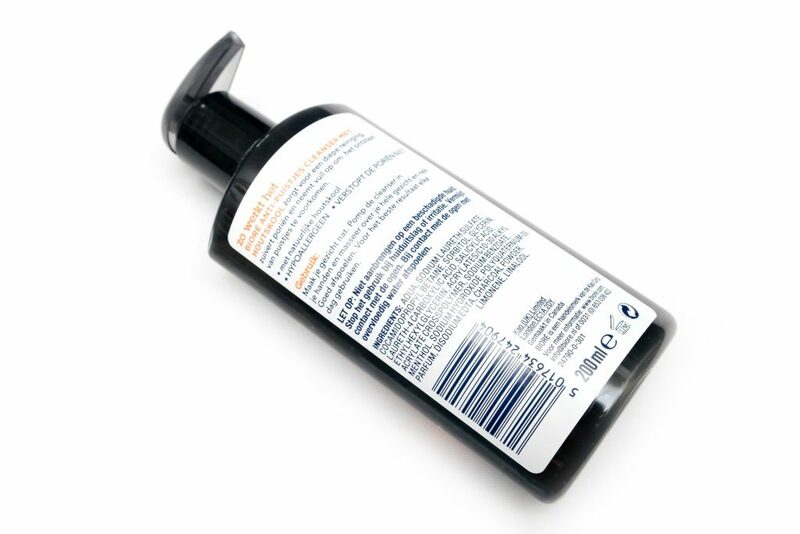 This cleanser can be used daily by applying the cleanser on your hands and continue to massage the cleanser on the entire face and neck, rinsing thoroughly using water afterwards. The Bioré Acne Clearing Cleanser has a gel-like consistency where you can clearly see the Charcoal is suspended in the base. It has a sweet and fresh scent, which kind of reminds me of licorice. 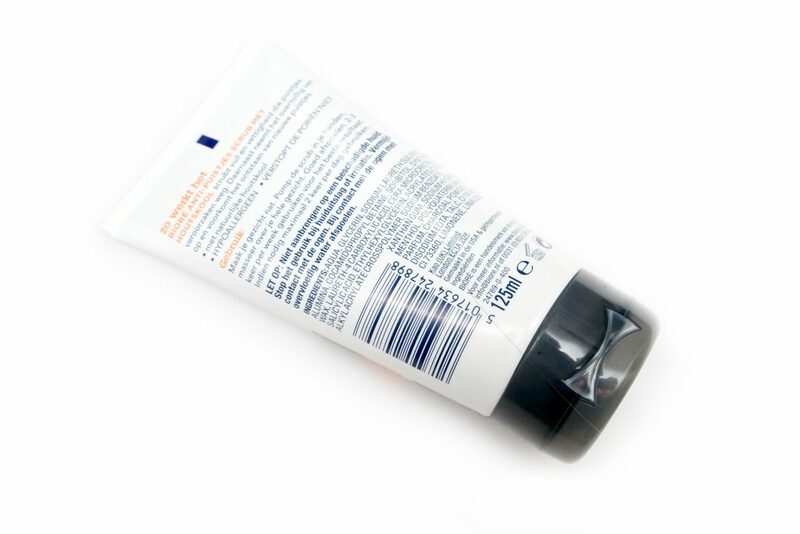 I noticed that the cleanser has a minty sensation after applying it to my face. It makes the cleanser feel very refreshing after use. This cleanser really feels like it deeply cleanses my skin but leaves my skin feeling dry, so I can definitely see that this would be more beneficial for an oily skin type. I do still like to use this cleanser when I have my oily days during the Summer period but I personally don’t like to use this on a daily basis, especially since I don’t really have problems with acne. 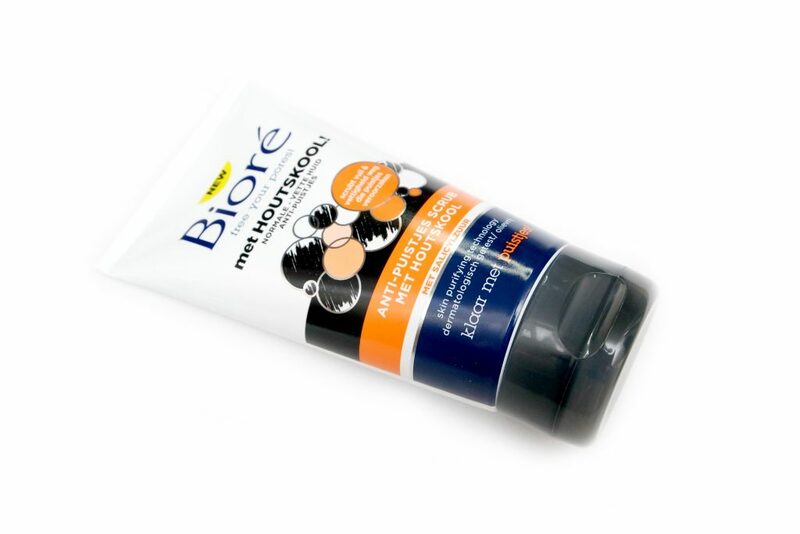 The Bioré Acne Srub (€9,99/125 mL) is a hypo-allergenic scrub featuring Charcoal and Salicylic Acid, recommended for a normal to oily skin type. According to the description, this product scrubs out dirt and oil to eliminate breakouts again, supposedly in just 2 days. This scrub can be used 2-3 times per week (and twice per day if needed) by squeezing the scrub on your hands and continue to massage the product over the entire face, rinsing thoroughly using warm water afterwards. The Bioré Acne Scrub has a similar gel-like substance to the cleanser, also with the same scent and mint sensation but is slightly thicker and also contains scrub particles. 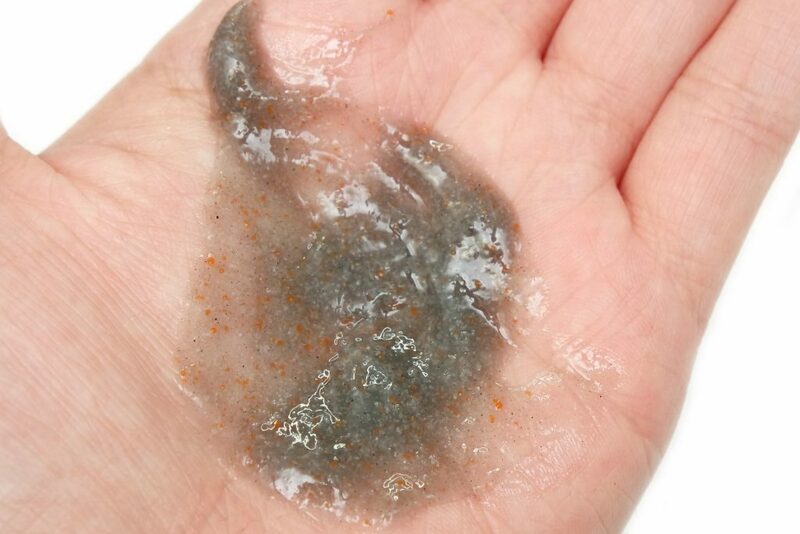 These orange scrub particles feel mild and not too rough on the skin. I like to use this scrub when I have a bad skin day, where my skin just feels very oily and dirty. I can’t use this scrub as recommended because it isn’t compatible to my skin type. It leaves my skin feeling completely cleansed, oil-free and dry so I have to use a moisturizer immediately after using this scrub. 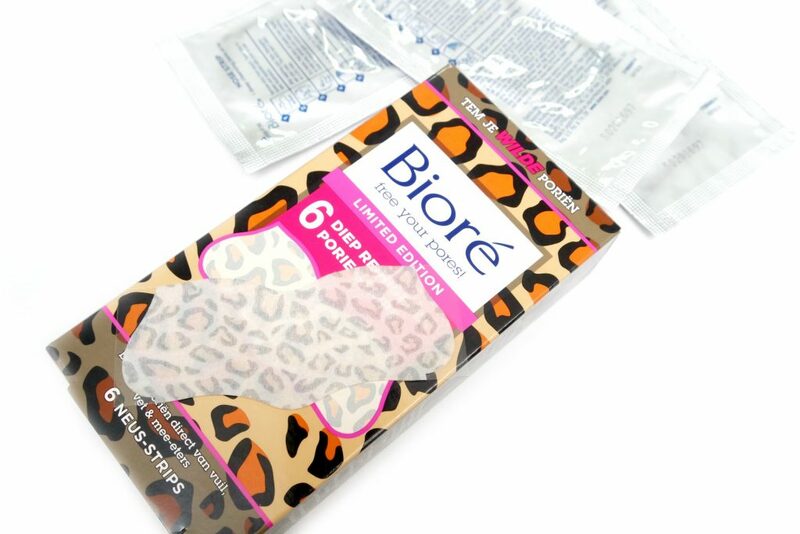 The Bioré Ultra Deep Cleansing Pore Strips (€7,99/6 Strips). 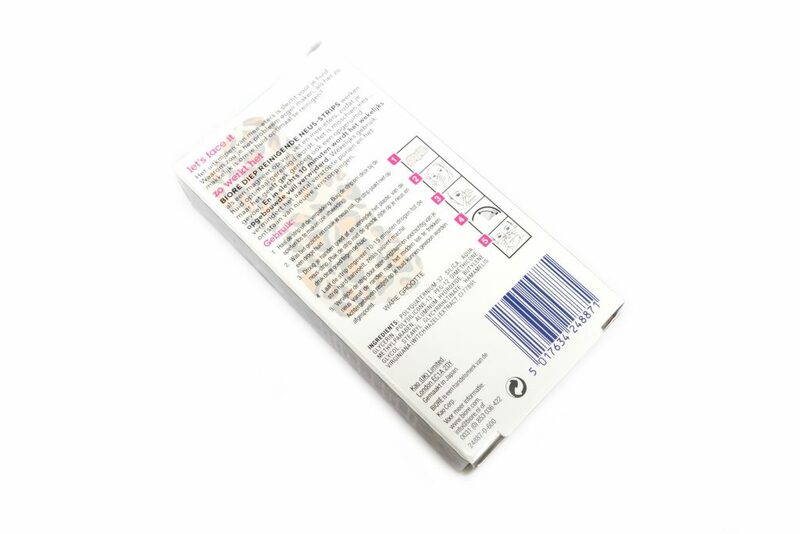 The pack contains six Nose Strips, formulated with Tea Tree Oil, Witch Hazel, and Menthol, removing dirt, oil and blackheads from the nose area. To use the strips, cleanse face and wet the nose area. Remove the protective film and press the smooth side firmly on the area of the face. Leave the strip for 10-15 minutes until it has hardened (feels like paper maché). Then, remove the strip by slowly peeling the edges and working your way trough the middle. Leftover sticky residue can be removed by simply washing your face. What I noticed is that making my nose wet is not enough to thoroughly saturate the strip. 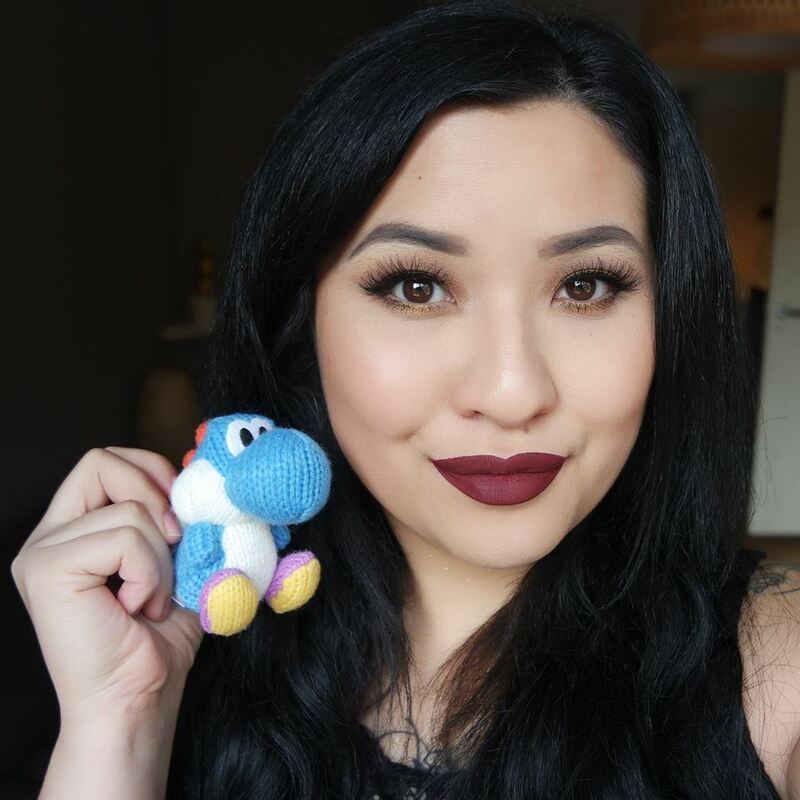 When I use it the conventional way, the strip just doesn’t stick on that well so I personally like to apply some water on my finger and wet the strip on the top, fuzzy part until it’s completely saturated. I can definitely notice that it then activates the smooth side, which becomes really sticky. Using the strip my way, it sticks very well and I really have to tug hard and slowly when I’m removing the strip from my nose but it doesn’t hurt. (Un)fortunately, I don’t really have blackheads so I’m not able to show you any results from using this strip. I have asked my boyfriend to be the guinea though, who has bigger and mild clogged pores on the nose. You can check out this picture HERE if you want to see what has came out of his nose. 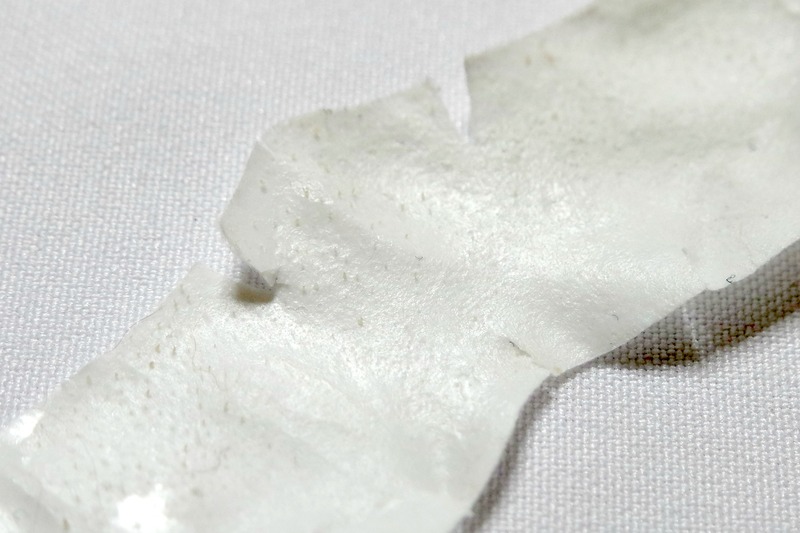 The Bioré Limited Edition Deep Cleansing Pore Strips (€7,99/6 Strips) are infused with selective bonding ingredients that work like a magnet, removing dirt and blackheads. 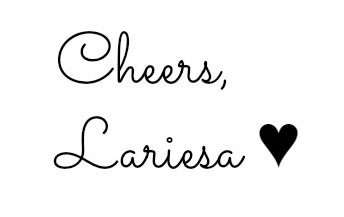 This is a Limited Edition version with a cute leopard print. These are a milder version compared to the Ultra Deep Cleansing Pore Strips, but are still nice and sticky. 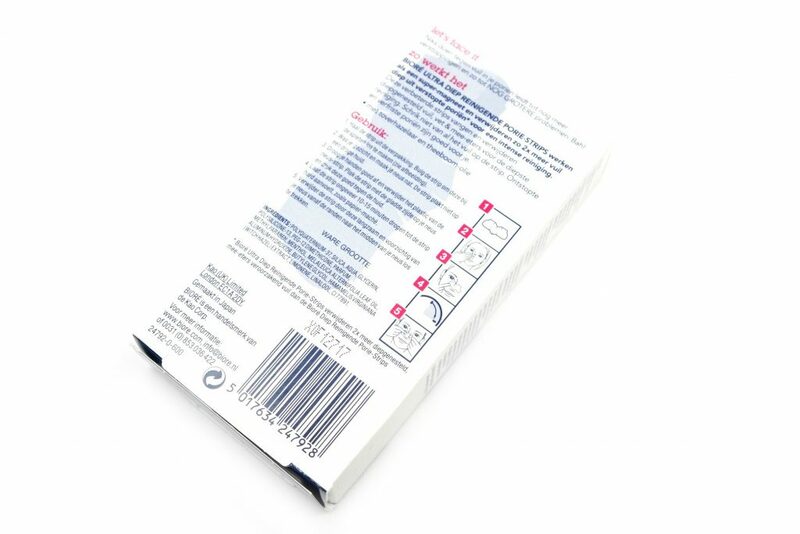 These are applied the same as described with the other nose strip. I unfortunately did not get anything out of my nose pores using this strip, because there’s just not much going on. 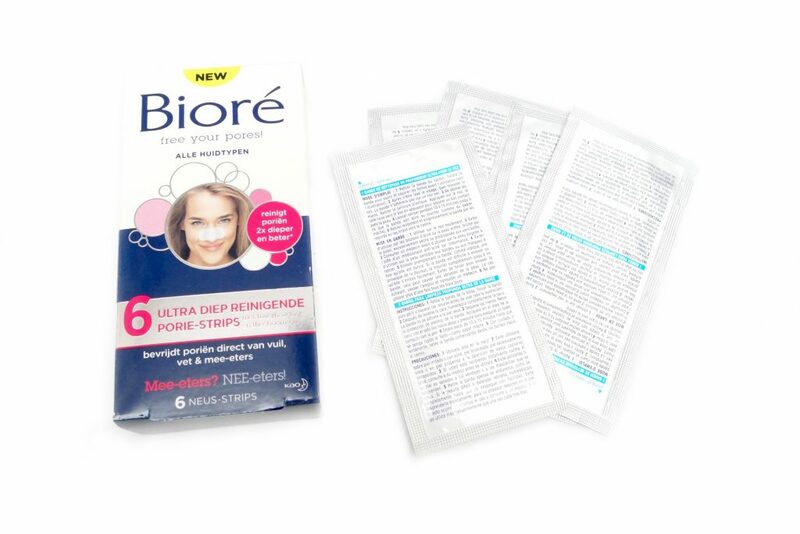 Bioré Acne Clearing Products and Nose Strips are not meant for my dry and non-acne prone skin type, but I do think these would be awesome if you have an oily skin type. I like the scents and how the product feels when applied (but not the dry feeling after use though). If you have a normal to oily skin type and frequent problems with acne, I would absolutely suggest to try out these products. I especially like the nose strips, even though usually nothing comes out of my pores, I always love to see the effect on my boyfriends nose. 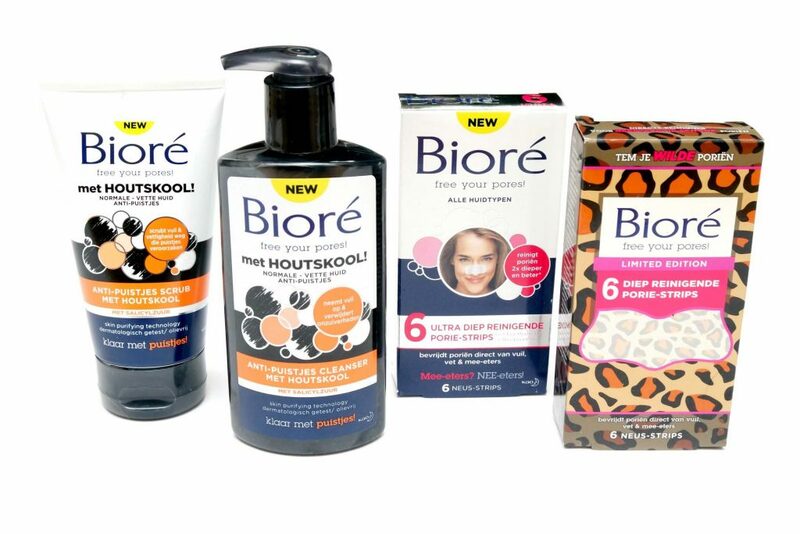 The Bioré Acne Clearing Products are available at selected Etos and Kruidvat stores and online at Bol.com. Do you have problems with acne? What is your solution to clear them out? Ik ben zo benieuwd wat deze producten voor mijn huid zouden doen.. maar nét een boel nieuwe producten aangeschaft. Maar even wachten..